You will need to do a course on furniture restoration before you start this business. They are widely available at most large colleges and universities. You will also need a garage or workshop to store all your cleaning materials and equipment. Your main task will be to preserve and restore old furniture whilst maintaining their original features. You will need to do a training course so that you are up to the latest industry standards. The training consists of a residential training course mixed in with some site experience. Your work involves killing or controlling a wide range of unwanted visitors ranging from mice, foxes, pigeons and even squirrels. If you love animals then why not set up a pet service business? Your work will involve grooming pets, taking dogs for a walk, removing pet waste and minding the animals whilst the owners are at work. If you are a mechanic and would like to work for yourself then providing basic services and small repairs on site could make you a decent living. You can maintain people's cars in their own driveway. This business will suit somebody that has carpentry experience. Your jobs include carpet cleaning, basic repairs & changing locks. Many home owners are now cash rich but lack the time to maintain their homes. Do you have green fingers? Why not make it your business? Most people only have time to do basic gardening. Landscaping a garden involves planting beautiful plants and creating an individual look and feel to a garden. Some people like a wild and natural garden whilst others prefer an ordered English garden design. Work is wide and varied including, decking, leveling & building a rockery. Assuming you have gardening experience, you will also need to learn how to build and design patios and basic brickwork skills. Buy a decent second hand van, equip it with a generator, water tank, pressure washers and cleaning material and you are ready to start valeting cars. It is very easy to pick up regular clients as long as you provide a reliable service. You will need to get the van painted with your livery (artwork, logos and contact details). For marketing you will need business cards & flyers. You will also have to get your business listed in the popular business directories. Advertise your business by leafleting well to do areas and approach local businesses. The best way to get a new van if cash flow is tight is to lease it. They normally ask for 3 payments up front as the deposit followed by 23 or 35 payments based on a 2 or 3 year lease. Some of the van businesses require you to have expensive tools that are hard to source second hand. You will have to allow for these in your business plans. For example, total set up costs for leasing a new van, business insurance, buying a complete commercial valeting kit and including marketing could easily set you back £15,000. 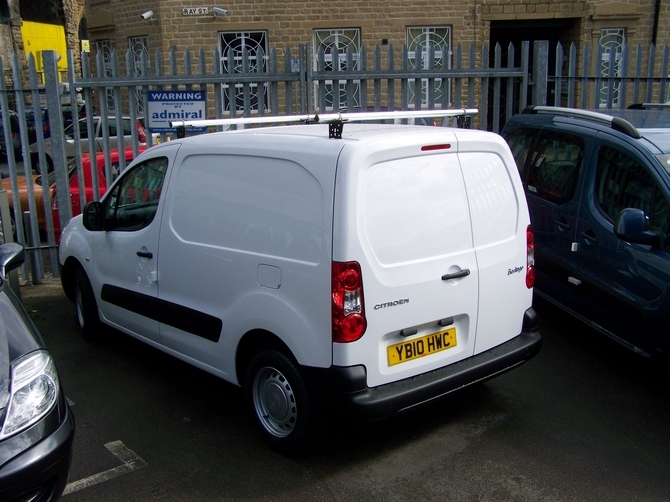 The main advantages of a low cost van business are that you don't need expensive premises and are not stuck indoors.